It has been suggested on several occasions here that I am a frightening woman, so here is pictorial evidence to suggest that this is a longstanding condition, and one that has run in my family for several generations. It ain't my fault guv. It's genetic. Here I am on a joyful family holiday in 1967, the summer of love. At the time, the likes of Tom 909 were *getting it together* with some *chick* in a field while tripping out to the sounds of Big Brother And The Holding Company. Some of us were having to endure a damp and overcast week in North Wales with seriously annoyed parents who were dressed as if they were twenty years older. I am the miserable shortarse in the ridiculous bonnet which I DIDN'T CHOOSE TO WEAR MYSELF, my dad is Grandpa Munster and my mother is the one that has a face like thunder. This post comes to you courtesy of Photo Scanning At Boots Week. Further results can be seen here. The pair of you seem to be specialising in grim photos right now! 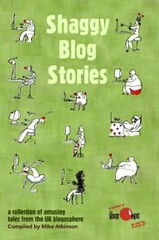 The Bloggers Grimm! I bet you never, ever, misbehaved. Marvellous. What is touching about these photos is that you and Geoff were clearly meant to be together. Your mother's dress is 'out there' and 'happening'. And what Annie says is very, very, very true. Yes - I agree with Annie. I had the same Clark's sandals (and hated them by the way). Moother looks a bit fed up/mardy! That's one bad hat, Harry!! Go on, it was Llanduddno, wasn't it? Llewtrah - ah, well, there aren't actually any pictures of us smiling so we don't have a choice. Mike - ha ha, it's not the most flattering picture in the world. I certainly don't remember her eyebrows being quite as scary but ... let's just say that my mum was quite a "temperamental" woman and this picture sums that up. Vicus - I fequently misbehaved, but, in my defence I have to say that I WAS FORCED TO WEAR THAT BONNET. Boz - out there, possibly, but not very happening. She wore some retina-burning stuff in the '70's too (not that I have much room to speak). Rockmother - I think I managed to break free from being forced to wear Clarks shoes when I got to about twelve. "They're the only shoes that fit you because you've got narrow feet" I was told. "Yes, but everyone else is wearing four inch platforms, it's not fair!" I lied, to no avail. Reg - I'm sure the argument was caused by my refusing to wear the hat. You were close with the resort - it was Colwyn Bay. If that bonnet didn't make your mum smile I can't think what would - unless it was the road out of Colwyn bay. Clearly you and Geoff were separated at birth. I hope both Geoff and yourself have broken out of grim posing when a camera is shoved in front of you. It's a vicious cycle that has to be stopped. Think of the young kids that have to endure many cruel long hours sat down on the insistence of an older relative that they look through family albums together. Kaz - she probably smiled at the thought of making me wear the bonnet in a cruel, sadistic way, then got into a bad mood because I wouldn't go along with it. Nowadays, Social Services would be called in. MJ - well, the truth is (and you read it here first) ... we're twins ... and married to each other. We're originally from the Deep South, if that explains it. Malc - dads used to have to prove their worth by wearing smart shoes when they walked along the prom. Only in the '70's did they let it all hang out on holiday and wear socks with sandals. Standards have been falling ever since. Even worse than the Clarks sandals, I was forced to wear jelly shoes on the beach. Istvanski - good new avatar! A still from that Alice Cooper video, is it? I'm not sure that I smile as much as I should do in family pictures. Looking through family albums SHOULD be an unpleasant experience. It's character building. Oh my, Oh my, Betty, those photos and your outfit are the reason the 60s had to happen. I have a similar photo of me in the 50s but there's no way I'd let that one out into cyberspace. Tom - I have no shame. Mind you, I don't think the '60's were happening outside of large towns and university campuses. It was probably still about 1948 everywhere else! Haven't you got long legs Betty! I think your Mum looks pretty cool actually. I like her frock. And both your parents' shades are so totally cool! My mum cool? I think that dress would've been considered dead frumpy in 1967. Dive - yeah, those sunglasses are a bit Jonathan Meades, aren't they? Probably very fashionable about ten years before then! RG - I think I tend to take on my mother's fiery temper the closer I get to Christmas (I'm not like that for the rest of the year, fortunately enough for anybody else). The wrist is feeling a lot better, leaving me time to worry about whether the bones are properly aligned, whether I'm going to have to be tested for osteoporosis, etc., etc. Life is a bottomless well of worrying. a very sovietski seaside holiday! we WILL NOT HAVE FUN AND NOBODY WILL MAKE US DAMMIT. we visit the beach only to test ourselves and prove superior to the wicked temptation of FUN! FN - oddly enough, I used to really enjoy my holidays until I was about 8 years old. Can't think why ... all those bleak and rainy days and, if you were lucky and the rain eased off, windswept beaches. Face it, I just enjoyed wallowing in misery, didn't I? Ziggi - I think mine were blue, but I could be mistaken. I seem to remember a pair of Clarks sandals that made me limp, despite the fact that they were supposed to be so comfortable. If any other 40-somethings want to relive their awful childhood holidays here in a cathartic way, feel free. We thought they'd never end.."
... which was a hit single about a year after that picture was taken. At the time I hoped I would look like Mary Hopkin when I grew up (well, at the time I was a three foot munchkin with short dark hair. Looking like anyone who was grown up and had long blonde hair was much more appealing).